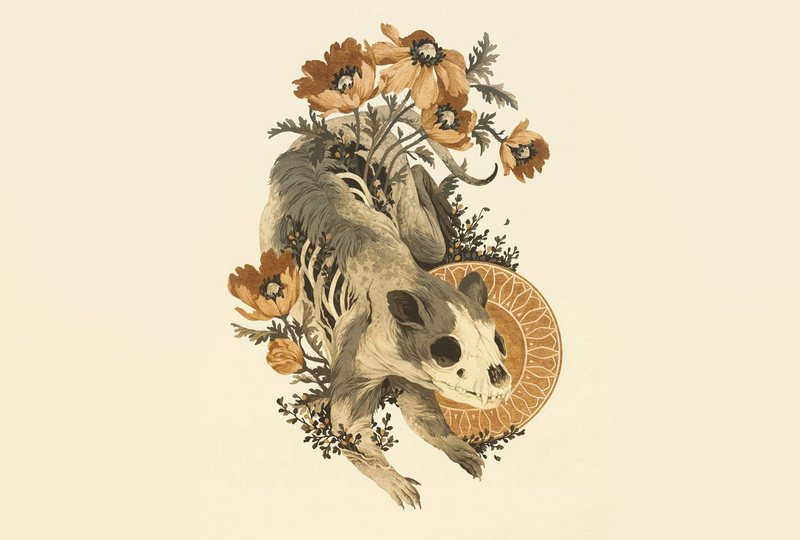 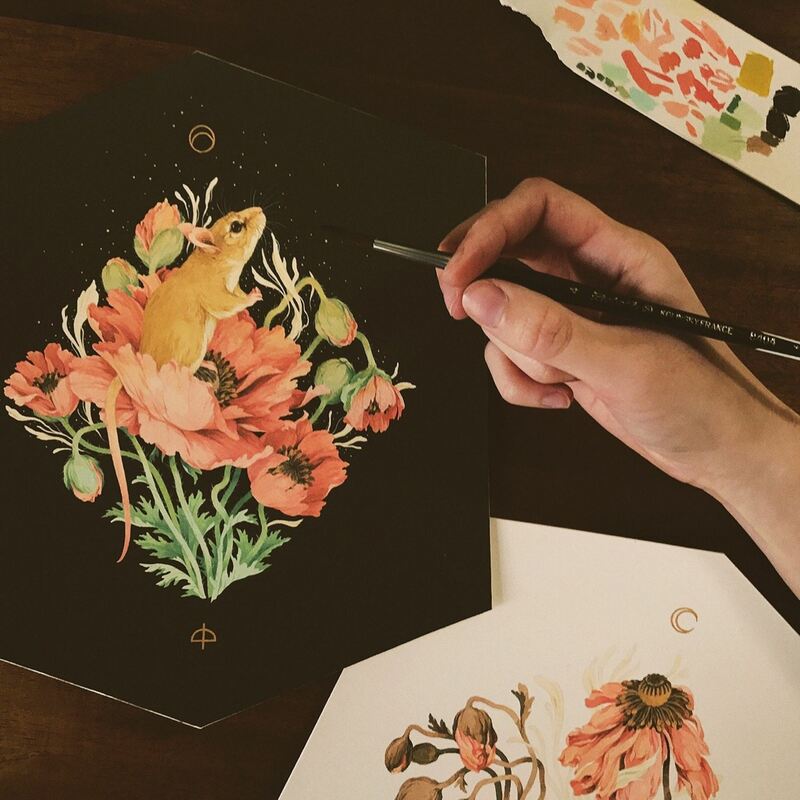 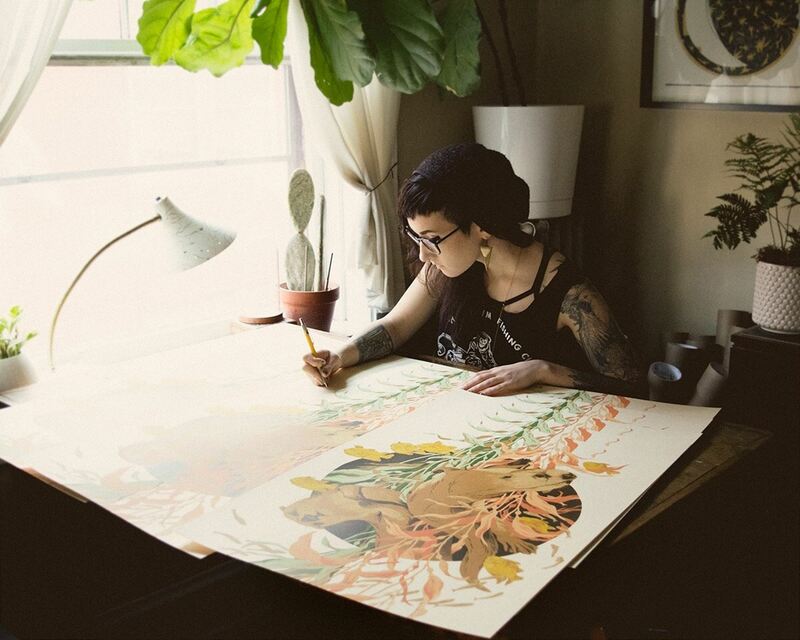 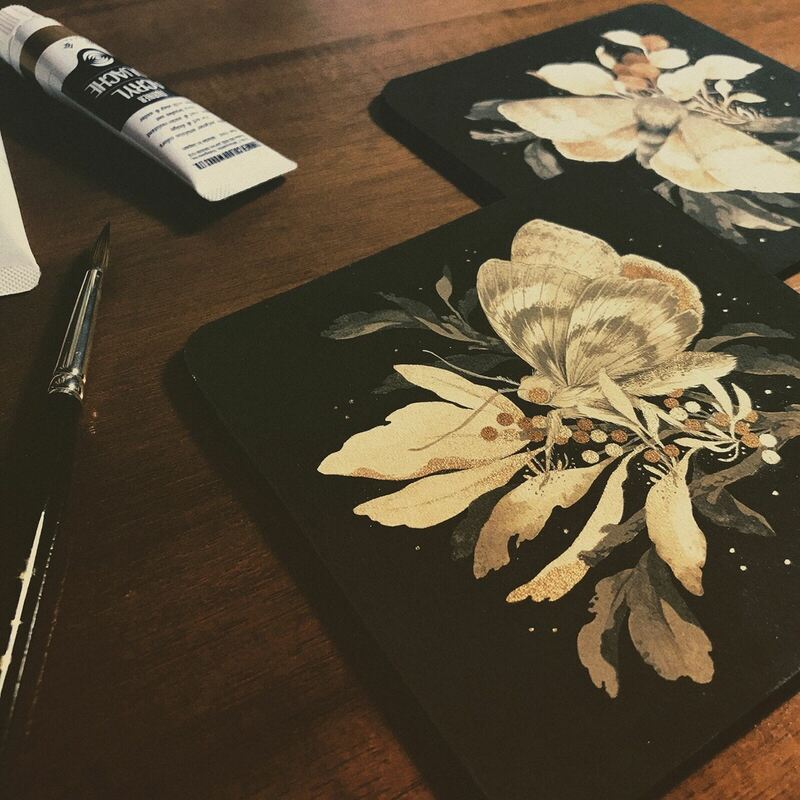 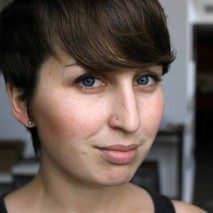 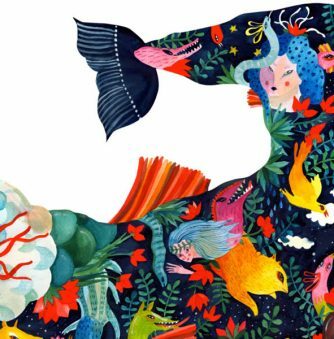 Illustrator Tegan White cites “picking wildflowers” and “collecting animal bones” as some of her hobbies. 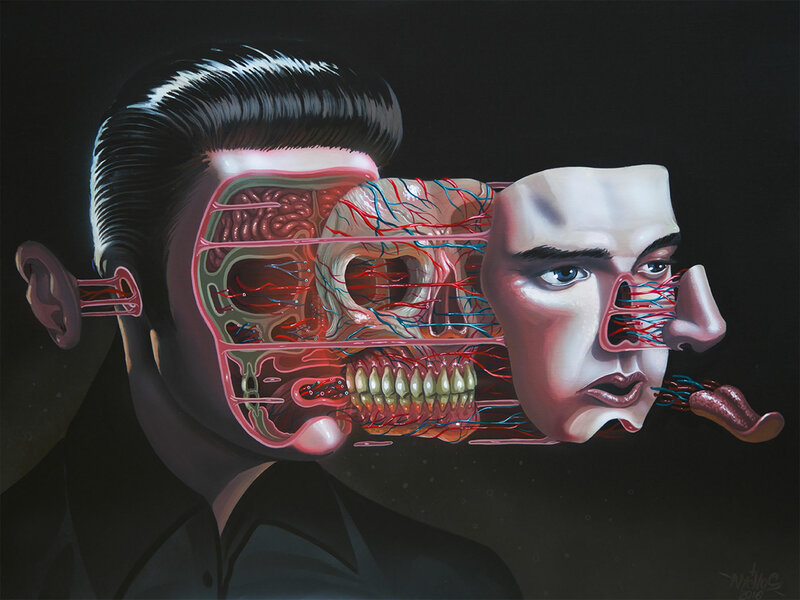 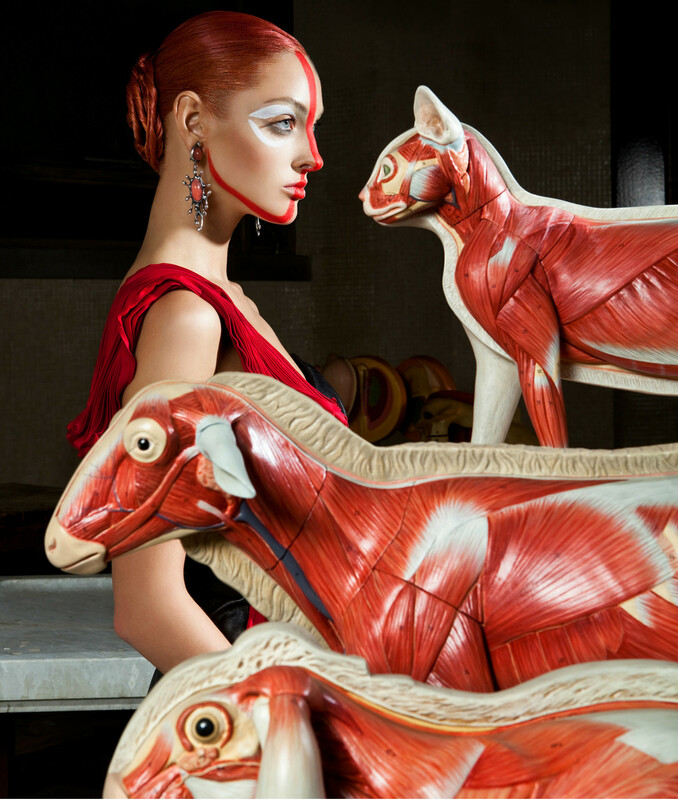 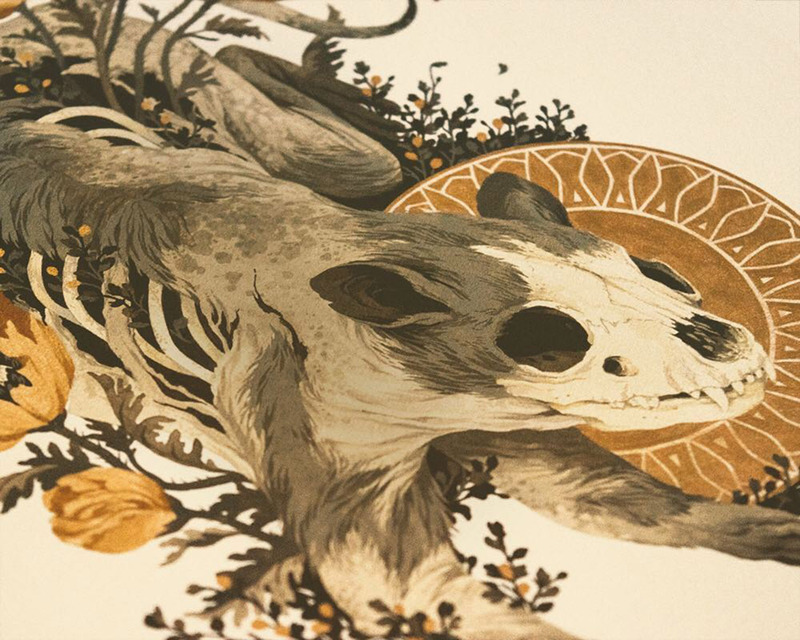 Both of them show up in some of her latest pieces (gouache and watercolor on paper), which highlight the beautiful decay of creatures—a concept that White is particularly interested in. 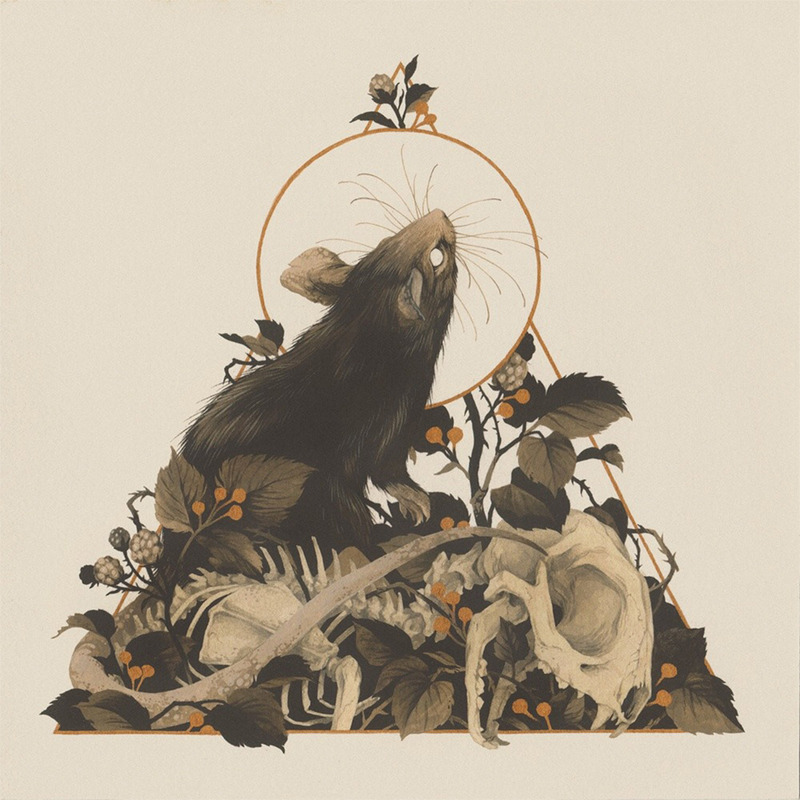 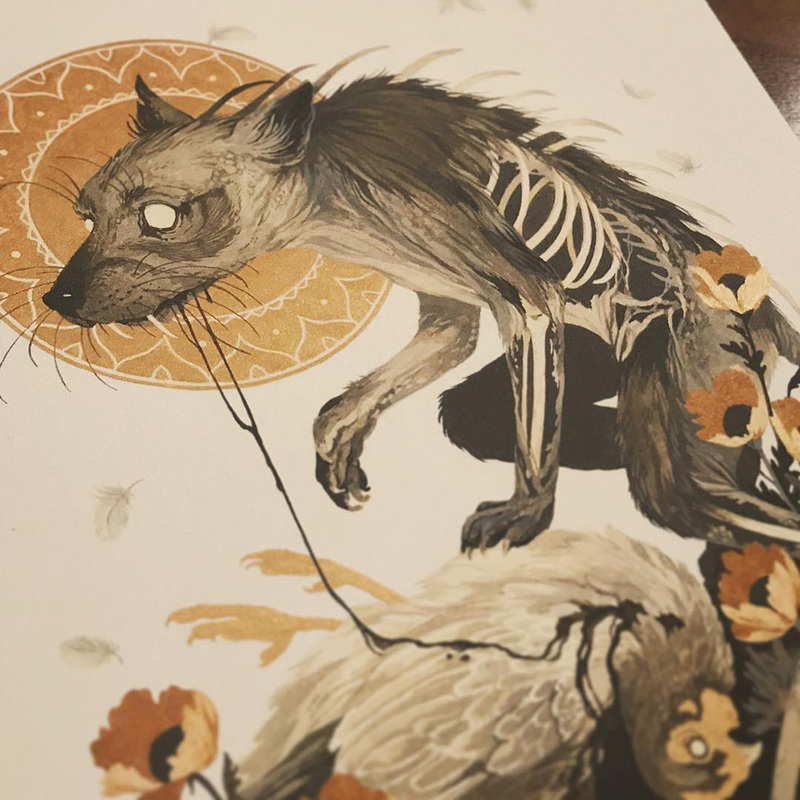 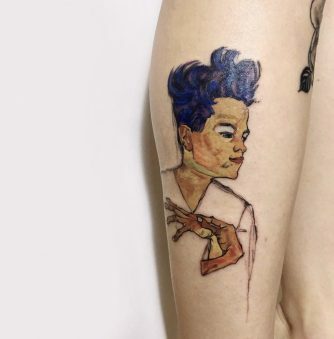 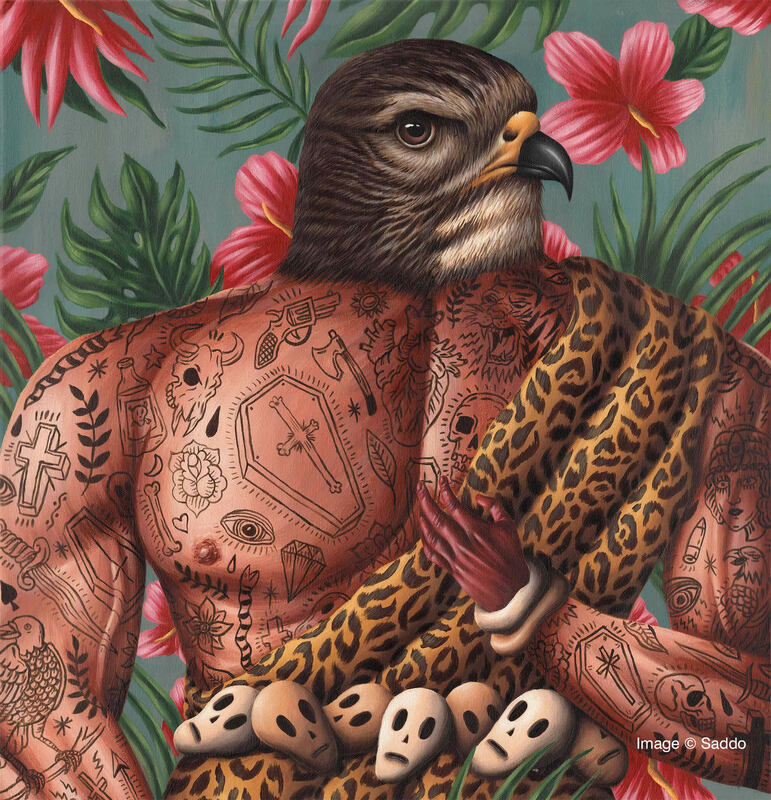 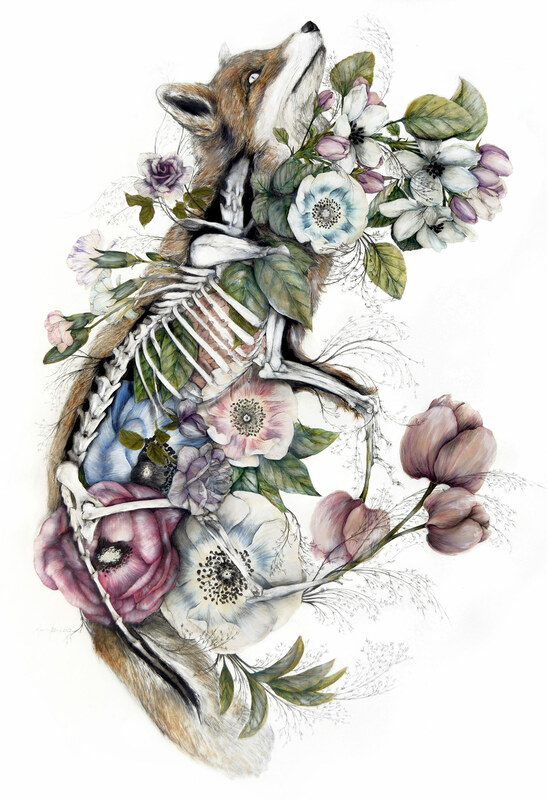 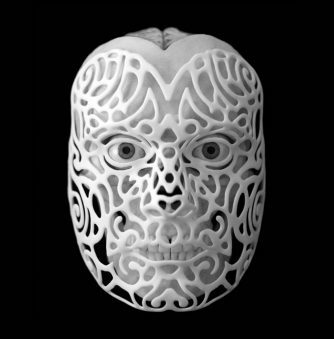 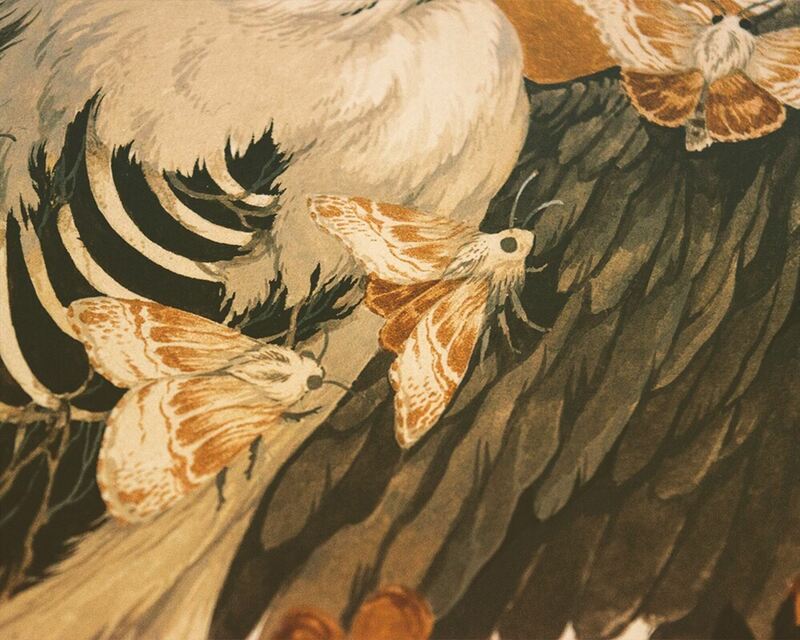 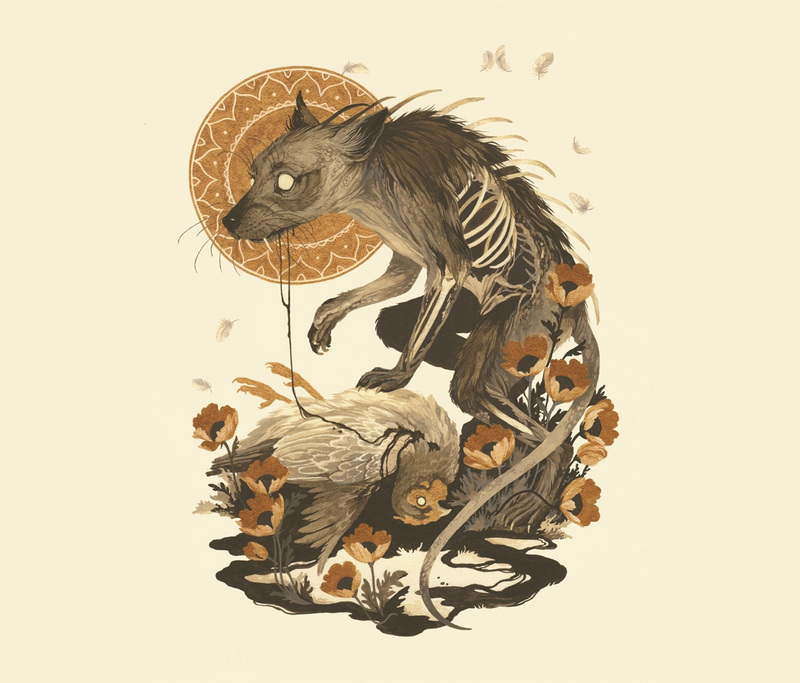 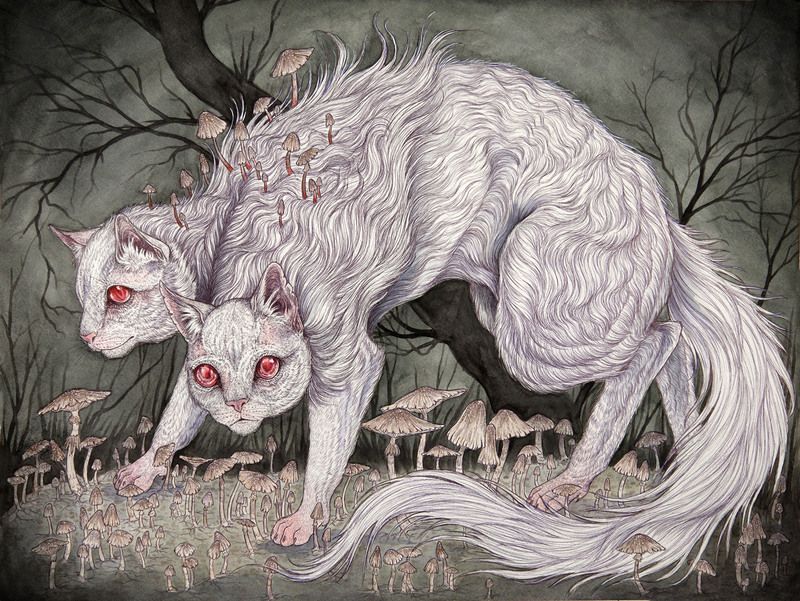 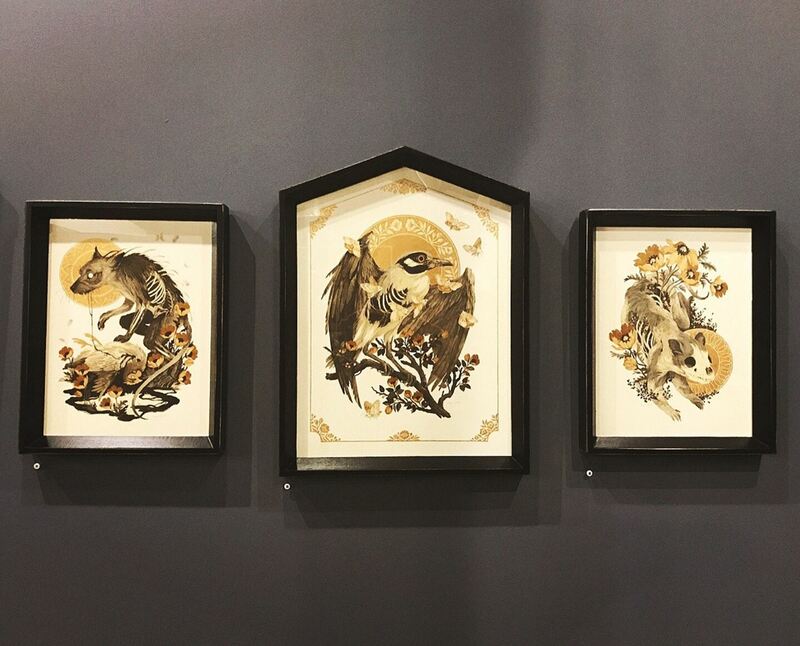 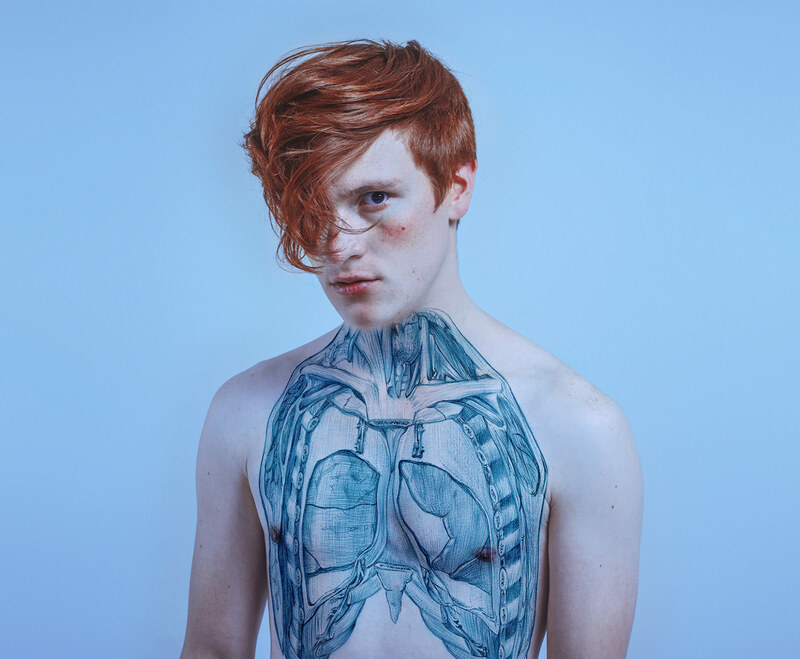 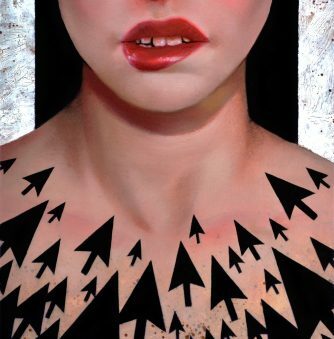 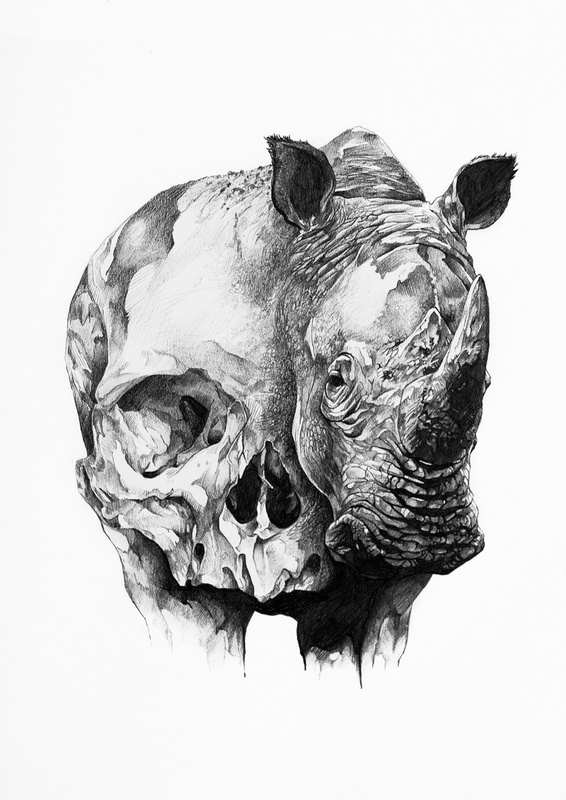 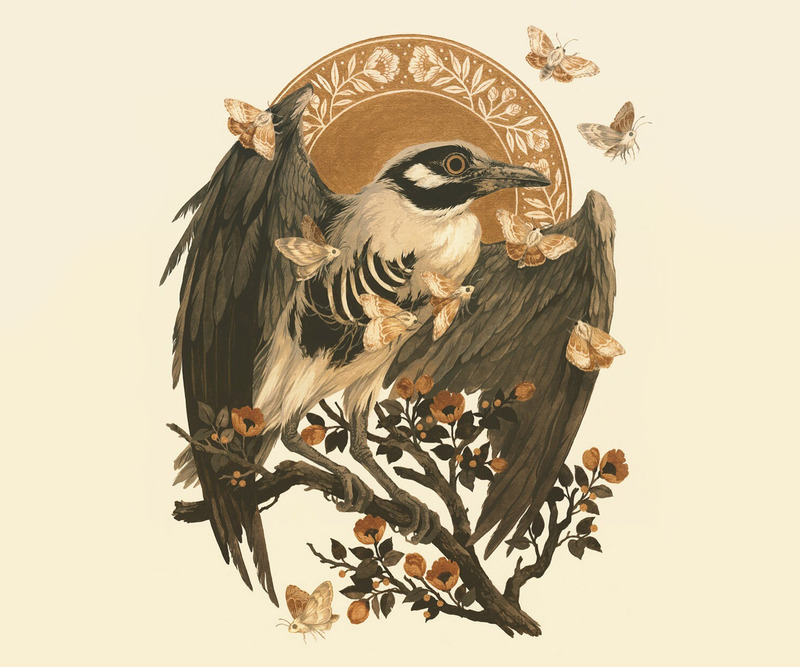 Specifically, the larger scope of her work is about “nature’s subtle, gentle reciprocity and wild, tragic discord.” The illustrations seen here are inspired by things including the Black Death and the fictitious Chupacabra. 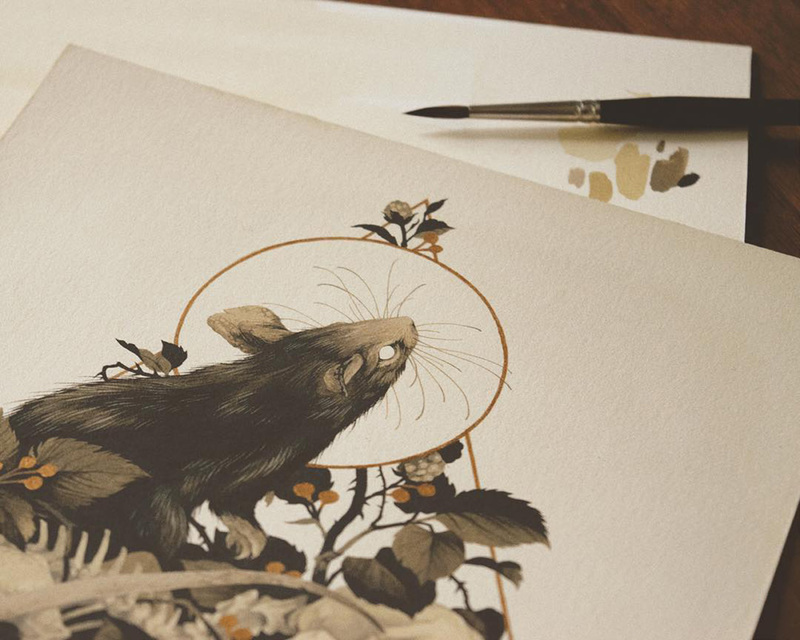 Despite these dark undertones, they remain delicate and enchanting.